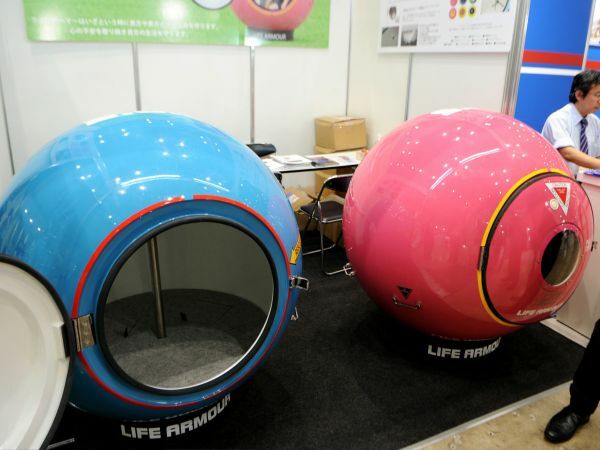 Would You Get In This Ball In Case Of Natural Disaster? With Sandy having left a path of destruction in its wake, a lot of people are understandably thinking about what they can do to better protect themselves for when the next big one hits. 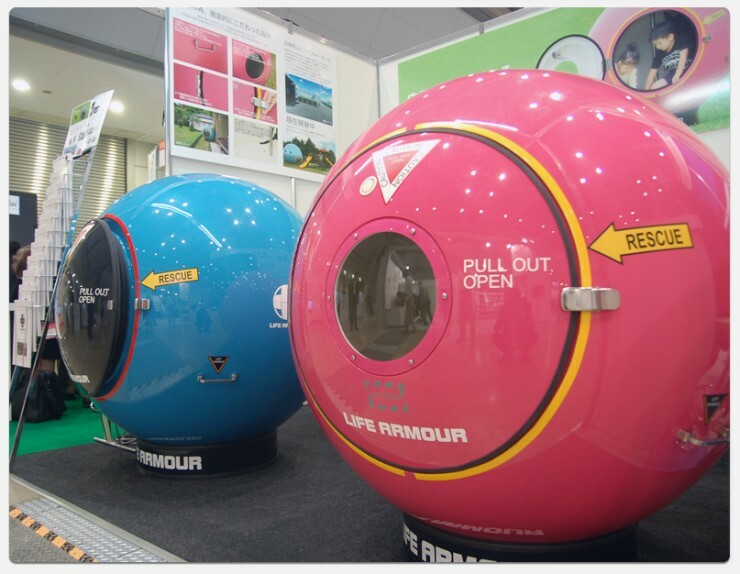 Japan is no stranger to natural disasters, and a company there is marketing a crushproof, floating ball as their solution. Called the Life Armor, its spherical shape and materials allow it to withstand up to 9,3 tons of compressive pressure, and can take a plunge from 25m. Whether the four humans it’s able to carry inside will survive such a fall is a different matter. It does float, and the thought of having four people trapped inside a 1.2m diameter sphere floating about doesn’t exactly strike us as the best way to protect yourself from… well, anything. Still, if you fancy this particular solution, it does appear to sell for roughly $5,000.